Darryl McClelland and Paul Aubin have jointly written an exclusive Book for BIM professionals. This BIM book is titled as BIM Collaboration with Autodesk Navisworks. This book is a part of the Aubin Academy Master Series. 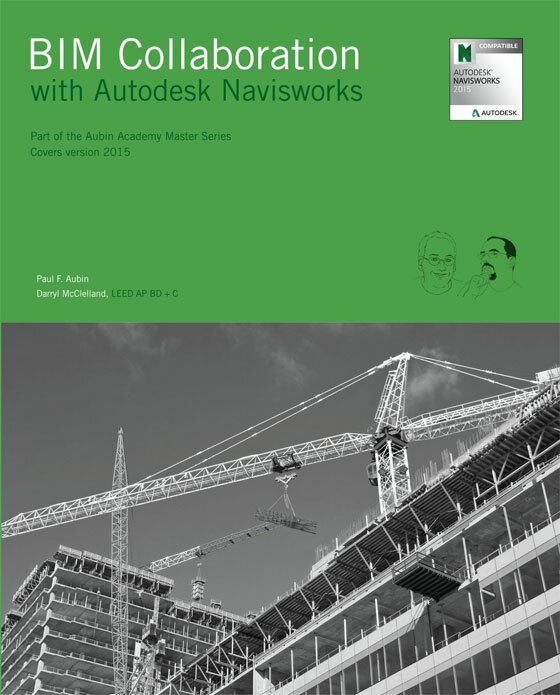 It is the most useful book for BIM users to learn the basic of Navisworks as well as how to utilize the software successfully. Navisworks is a model aggregator that can integrate numerous diverse file formats for generating a complete project model that facilitates the users to entirely synchronize several characteristics of their project. Navisworks can easily detect potential conflicts as well as errors/omissions before the project is actually built in jobsite and thus meet the project schedule successfully. This book covers up the collaboration features concerning the Building Information Model. All the lessons are carefully designed for aiding the users to accomplish the collaboration of their projects effectively. Navisworks tools are briefly explained in a centralized method by giving importance on “why” as well as “how”. The text and exercise will provide a transparent view regarding the significance of the tools as well as capability of each tool. Besides, there exist Quick References for some of the Navisworks tools comprised over here. The Aubin Academy Master Series: BIM Collaboration with Autodesk Navisworks is a good resource that can instantly prepare you to be “up to speed” on Navisworks, curtail your learning curve, elevate your comfort level as well as provide you real-life realistic suggestion on the application of the software to streamline the project collaboration process. By following the valuable suggestions included in this book, one can obtain brief perception in applying Navisworks to manage your projects in a superior way.